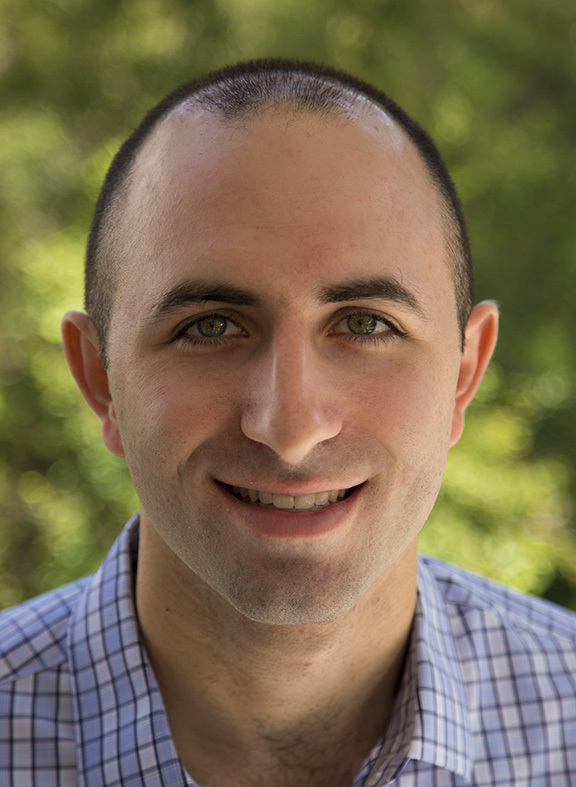 Michael Schachter (b. 1987 in Boston, MA) is a composer for stage and concert hall, pianist, and scholar. He spent his formative years immersed in omnivorous musical activity: absorbing the strains of Jewish cantillation, performing piano concerti, leading jazz combos, accompanying musicals and gospel groups, conducting Renaissance choral music, and studying Southeast Indian classical (Karnatak) music in Chennai. Michael’s music-theatrical work, The Black Clown, premiered with a sold-out four-week run at the American Repertory Theater to kick off their 2018–19 season. Co-created with starring bass-baritone Davóne Tines and directed by Zack Winokur, the category-resistant work realizes the poetic vision of Langston Hughes’ dramatic monologue. In July 2019, the work moves to Lincoln Center for its New York premiere. Highlights of the 2019–20 season include the world premiere of a concerto for Grammy-nominated violinist Philippe Quint, co-commissioned by the Knoxville Symphony and the Knoxville Museum of Art; the Kennedy Center premiere of “An Overture to Knoxville,” also with the Knoxville Symphony; and a new choral work based on 15th-century kabbalist ethical texts for the Harvard-Radcliffe Collegium Musicum. In recent years, Michael’s music has been commissioned and performed by ensembles such as the Minnesota Orchestra, the Ann Arbor Symphony Orchestra, the Boise Philharmonic, the Cabrillo Festival Orchestra, the Naples Philharmonic Orchestra, the Bloomington Symphony, Alarm Will Sound, the 21st Century Consort, the Brentano Quartet, the Rolston Quartet, the Concord Chorus and Orchestra, the Masterworks Chorale and Orchestra, the Vocal Essence Ensemble Singers, the New York Virtuoso Singers, the Bloomington Symphony, and chamber groups and collegiate ensembles around the country, at venues including Carnegie Hall, Merkin Hall, the Smithsonian Institute, the San Francisco Center for New Music, Hill Auditorium (Ann Arbor), Sanders Theatre (Cambridge), National Sawdust and Roulette (Brooklyn), the Big Ears Festival, the Rockport Chamber Music Festival, San Diego Symphony’s “Hearing the Future” Festival, and the Ojai Festival for Contemporary Music. His works have received honors from organizations such as BMI, ASCAP, and the American Composers Forum. As a scholar, Michael’s research interests include the philosophy of music (especially aesthetics, epistemology, and ethics), pedagogy, early music, jazz, and the classical music of South India. His scholarly articles have been published in journals such as the Society for Music Theory’s online journal Music Theory Online, The Indiana Theory Review, and Music and Literature, and he has presented his work at regional and national conferences. In March 2016, Michael was invited to give the keynote address at the Bowling Green State University Graduate Conference. He is currently working on a major project on the philosophy of musical reasoning. Michael and his family are based in Cambridge, MA, where Michael is embarking on a Junior Fellowship at the Harvard Society of Fellows. Outside of his musical work, Michael can be found reading, watching good-bad action movies, and horsing around with his two young sons. He is an unapologetic fan of Boston sports.